Sherlock Holmes meets the Doctor! Doctor who, you ask? Precisely. 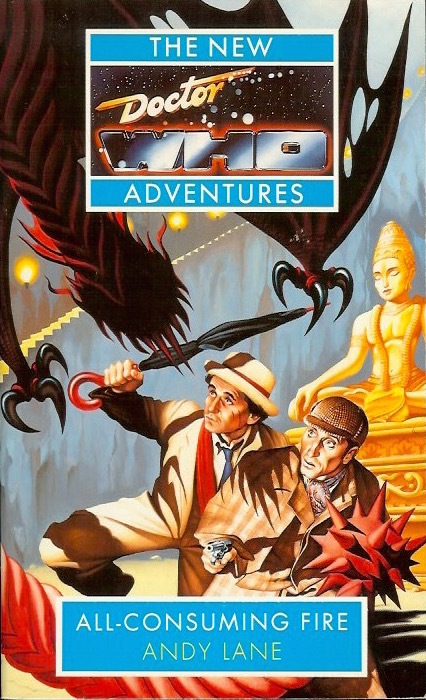 Author Andrew Lane would later go on to pen the Young Sherlock Holmes series. "I've been all over the universe with you, Doctor, and Earth in the nineteenth century is the most alien place I've ever seen." England, 1887. The secret library of St John the Beheaded has been robbed. The thief has taken forbidden books which tell of mythical beasts and gateways to other worlds. Only one team can be trusted to solve the crime: Sherlock Holmes and Doctor Watson. As their investigation leads them to the dark underside of Victorian London, Holmes and Watson soon realise that someone else is following the same trail. Someone who has the power to kill with a glance. And they sense a strange, inhuman shape observing them from the shadows. Then they meet the mysterious traveller known only as the Doctor—the last person alive to read the stolen books. While Bernice waits in nineteenth-century India, Ace is trapped on a bizarre alien world. And the Doctor finds himself unwillingly united with England’s greatest consulting detective.